Few traffic tickets and criminal charges evoke as strong, negative feelings as school bus violations. If convicted, there can be consequences to your criminal record and driver license. Indeed, a lot of people don’t realize, at least in North Carolina, it can result in something more than a ticket. Administrative action by NCDMV and the Courts is both swift and substantial. If you’re a repeat offender or someone gets hurt, there may be misdemeanor or felony charges as a consequence, depending on the nature and circumstances of the offense. Given the substantial likelihood for injuries and/or death, you may also be subject to bigtime civil liability for damages, wrongful death claims, and catastrophic loss. If you’ve been charged, lawyer up. It’s important you fully understand the law, the best-case and worst-case scenarios, and your legal options, if any. Under the NC criminal laws, you can always serve as your own attorney. Criminal lawyers refer to that as pro se representation. That means you speak for yourself in court. With this type of charge, we think that would be a mistake. There can be serious consequences if you’re convicted of passing a stopped school bus or even a bus transporting senior citizens. If you hit a child or someone was killed, exercise your 5th Amendment Right to Remain Silent. 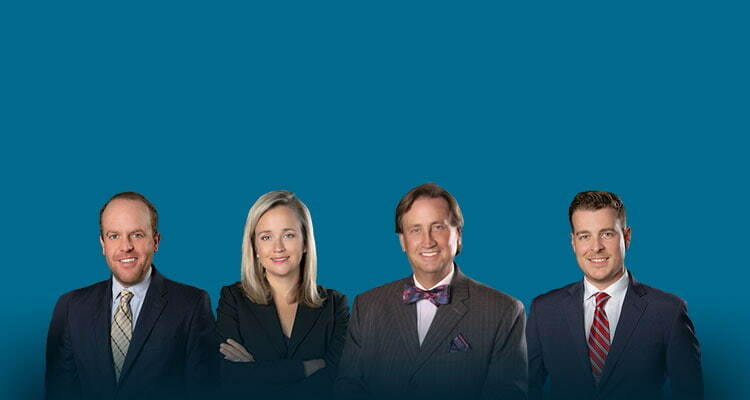 If you call our law office, we think you’ll quickly discover the value of an attorney by your side in court. Everything you tell us is strictly confidential and we don’t charge consultation fees for criminal matters. The laws regarding a school bus pass violation in North Carolina are complicated and frankly, increasingly serious. Judges and juries take such charges seriously. You should too! What is Serious Bodily Injury? Like all criminal charges, the specifics of the offense is legally defined under the Pattern Jury Instructions. The State must prove, each and every element of the crime, Beyond a Reasonable Doubt. That’s the Burden of Proof. Serious bodily injury can mean different things to different people. The is broadly written, intended to capture different fact-patterns and on-scene scenarios. 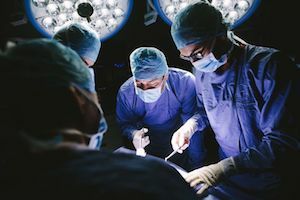 Clearly, the statute can be broadly interpreted, where serious disfigurement might include mean scarring, loss of limb, loss of use of a limb (arm or leg), or even long-term loss of an organ. The bullet-points above are not intended to mean “all the above,” meaning each much be proven by the State. The pattern jury instructions actually allow for any of the stated conditions to possibly be found as “serious bodily injury” by the jury and are therefore intended to guide the finder of fact in its decision-making process. If you’ve been arrested, give us a ring. It’s better not to give a statement or speak with the media. 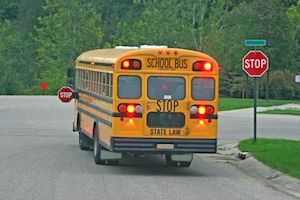 Accidents, injuries, and fatalities associated with a child getting hit or killed when getting on or off a school bus are highly charged, emotional legal matters. They evoke anger and as such, a lot of media attention. It’s important to note, intent is not necessarily the end-all, beat-all factor. While it’s possible someone could intentionally pass a school bus, with the intent of striking and killing a child, chances are the criminal charges would be for something substantially more serious like murder. The intent necessary is much lower than you might intend. You might only intend to move your vehicle, not necessary to enter the danger zone or possibly strike a child. It’s key to understand, the timing of such matters can be important. Moving your vehicle, before the bus moves, may serve as proof of guilt against you. It’s not just a matter of the school bus driver turning off the red flashing lights and retracting the safety arm. North Carolina has authorized video recordings on school buses and the school bus arm. As such, video evidence may be introduced in court against you. Will My License Get Revoked? First and foremost, a PJC (prayer for judgment continued) is specifically prohibited under the criminal law. As such, driving school isn’t going to help. It’s not really an option. A first offense / violation of the passing a stopped school bus statute is a Class 1 misdemeanor, with a mandatory minimum $500 fine. It’s also a 5-point insurance hit, which will increase your rates substantially. A second offense can result in a 1 year license suspension. Felony convictions also carry enhanced fines, which can amount to thousands of dollars, especially in those circumstances when a child is killed. 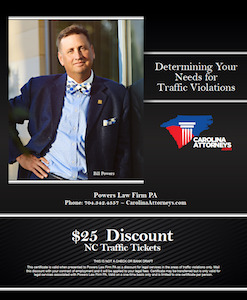 A third conviction can result in a permanent revocation of your driver license by NCDMV. NOTE: Each case and fact-pattern is different. Such matters are notoriously complex legal issues that deserve the careful attention of an experienced lawyer. If you have specific questions about your citation and/or criminal charges, consult with an attorney immediately.